MID-CENTURY MODERN WALL SCONCE home decor, jewelry, decor, decorations, electronics, fountains, floor mats, art glass, vases, garden essentials, fireplace screens. A little bit modern, a little bit retro, and a whole lot stylish! 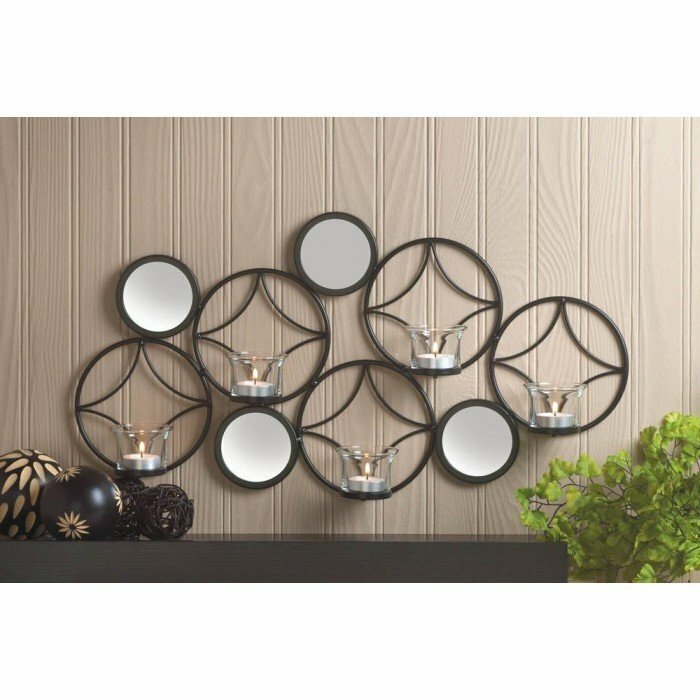 This gorgeous wall sconce features black iron diamonds set in circular frames mixed with circular mirrors, and the five platforms are just waiting for your favorite candles. Candles not included. Material(s): IRON GLASS. Weight 2.4 pounds . Dimensions 22" x 2.62" x 11.5".